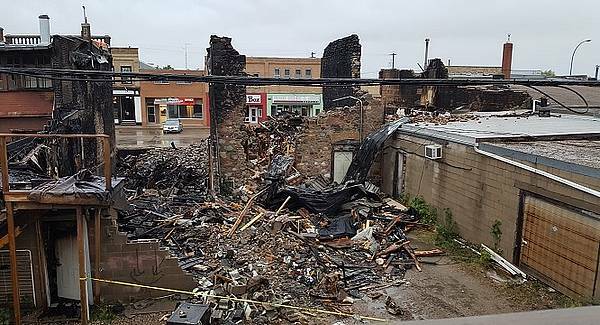 Virden, MB (CKLQ) - RCMP continue to investigate a fire that destroyed a block of historic buildings in Virden. Early Saturday morning on September 23, 2017, a fire ripped through the downtown area, gutting three brick buildings that had been standing for nearly 100 years. No one was injured in the blaze, and initial police investigation indicated the fire was deliberately set. RCMP Sergeant Paul Manaigre said this is a tough case for investigators. "They've done a lot of work, they've covered a lot of ground. I'm not sure what they need at this point to lay charges, but they've done a lot of work and they are going to continue until we can hopefully get successful closure to this," said Manaigre. According to Manaigre, these types of investigations are difficult because officers need a sufficient amount of evidence before they can lay charges. "This is a fire that was deliberately set, and the idea is to obtain the evidence that hopefully gives us enough grounds to lay charges. That's the end result you want," said Manaigre. Meanwhile, the Mayor of Virden, Jeff McConnell remains confident in the RCMP investigation. McConnell said he appreciates the work officers are doing, and knows these things take time. McConnell adds this isn't the first time Virden has dealt with a significant fire, as another blaze devastated the community in 2012. 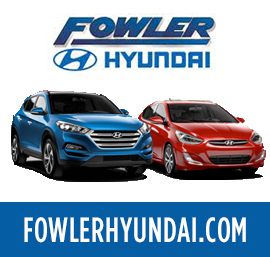 "Another significant arson in our community took out a commercial building and a four-plex behind it, and that arson was never resolved either. Quite honestly, it was the rebuilding in that location that was more of a healing process than anything else," said McConnell. McConnell said that a large chunk of the downtown area remains fenced off following last year's fire. A bright spot in that tragic event though, McConnell said a national group that provides expertise on ways to improve downtown areas came to Virden shortly after the fire. "Because of the fire, that event was seen to be even more important and a lot more people took part. So from that set of workshops, we've now received the report and we have a committee that has been established to look at what to do with the report and move it forward," said McConnell. McConnell said details of that report will be presented at a public open-house on Wednesday, April 18 in Virden.